Washington State Raises Bar For Parents To Skip Kids' Vaccinations : Shots - Health News Parents who don't want to meet state immunization requirements for school now have to obtain a certificate of exemption from a licensed health care provider. Saying no to vaccines is getting harder in Washington state. The vast majority of parents get their kids vaccinated, but a persistent minority decline to do so. Their reasons vary: Some continue to worry about a link with autism even though research supporting a connection has been completely discredited. Others are concerned about side effects, or they say they don't believe that the diseases the vaccines prevent are really all that serious. Persuading recalcitrant parents is a problem that public health advocates continue to wrestle with. While less than 1 percent of children between 19 and 35 months old didn't receive any vaccines last year, according to the Centers for Disease Control and Prevention, the figures for noncompliance are much higher in some pockets of the country. In Washington state, for example, 6 percent of kids received exemptions from state laws requiring children to be vaccinated in order to attend school; county rates ranged from 1.2 percent to a whopping 26.9 percent. Now, a new Washington state law is getting attention as an example of how to encourage more parents to vaccinate their kids. The law, which took effect in July, requires parents who don't want to meet state immunization requirements for school to obtain a certificate of exemption from a licensed health care provider. The certificate verifies that the pediatrician or other health care provider has discussed the benefits and risks of vaccines with the parents. State laws vary widely on how easy they make it for parents to get vaccine waivers, and some have implemented requirements similar to Washington, says Dr. Douglas Diekema, a professor of pediatrics at the University of Washington School of Medicine. "What we know is that the more rigorous you make it to get an objection approved, the higher the vaccination rate," he says. 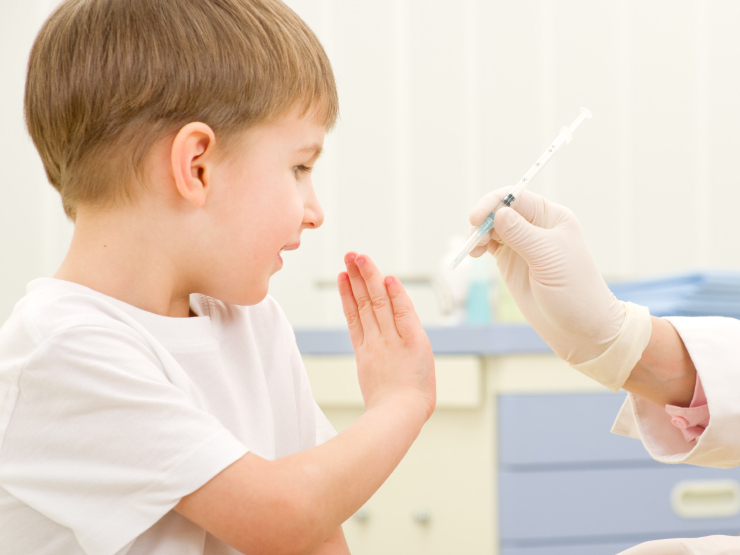 Simple steps such as asking parents to talk to a pediatrician or get a form filled out can give vaccination rates a shot in the arm.